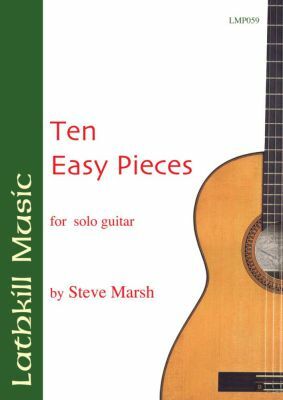 First published several years ago, Ten Easy Pieces immediately became one of this composer's best sellers with many teachers using it with their students. This revised album contains original, tuneful compositions aimed at the first-year guitar student and each one has been written with enjoyment and technical progression in mind and is in a particular style, including: folk-fingerpicking, baroque, lute, American indian, and a couple of impressionistic pieces. "Teachers reading here will realise that Steve Marsh has thoughtfully introduced all manner of elements for them to comment on in this practical, no-nonsense, tuneful book; I'm sure it will be much appreciated by both them and their students." - CLASSICAL GUITAR MAGAZINE.